Choose from 31 hotels and guest houses in Berkshire. Shown below a just a selection of the hotels available. To search within an area please use the menu on the right. With a great location just 0.5 miles (8 km) from the A34 and one mile (1.6 km) from Newbury town centre, the hotel has been recently refurbished to reflect its 17th century heritage. Since 2005, the Hare and Hounds at Speen has been privately owned by Jonathan and Jean Nelsey, who aim to provide the standards expected of a quality hotel. The renovations have put the pride back into this historic inn, with a fresh approach carefully combined with retaining the building's historic features and character. The rooms are split between the main house and the cottage mews, and all are comfortably equipped for an enjoyable stay. Free Wi-Fi wireless internet access is available throughout the hotel. With a highly acclaimed restaurant and a traditional pub bar, the Hare and Hounds at Speen is likely to become a popular venue for dining out in Newbury Free parking is available for guests in the large car park. 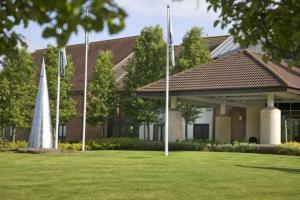 Holiday Inn Slough Windsor offers outstanding service and friendly staff. It is 10 minutes from Heathrow Airport, and some rooms have a view of Windsor Castle. Each air-conditioned room has an en suite bath and shower, and Wi-Fi (at an additional cost). The hotel is a few miles from Slough's major blue-chip companies. Windsor Castle is 3 miles (4.8 km) away, and Legoland is just 4 miles (6.4 km) away. Eton, and Ascot and Windsor Racecourses are not far. This hotel offers the "kids stay and eat free" deal. The restaurant serves breakfast and dinner, and has international cuisine and specialty themed menus. The bar is idea for light meals, snacks or for an informal meeting. A beautiful Victorian guest house located in the heart of Reading. Family run, and extensively renovated hotel with a warm and welcoming atmosphere. We are located in Reading Town Centre, close to all shopping and travel facilities. Reading offers great night life, and several beauty spots such as Maple Durham Mill, Henley and Shiplake locks. This metropolitan town also has direct link services to London Heathrow and Gatwick, and London Paddington. Private Car Park, Secure Wireless Broadband, en suite, standard and budget rooms, Fully Renovated. Womad and Reading Rock festival weekends bookings are based on minimum 3 nights. Experience everything you'd expect from an international hotel company in this elegant country house that rests in the Kennet Valley. The impressive, stylish Ramada Elcot Park Newbury is set in 16 acres of beautiful gardens and woodland, only minutes from the M4 and A34. Only 8 kilometres (5 miles) from Newbury, there are many nearby attractions to visit, including Highclere Castle, Newbury Races, Didcot Steam Railway and the Watermill Theatre. For retail therapy and entertainment, Swindon's Great Western Designer Outlet Village and Reading's Oracle shopping centre are only a short drive away. The antique shops of Hungerford and Marlborough are closer still. If all else fails, why not relax and enjoy a stroll along the beautiful Kennet and Avon Canal. Within 15 minutes of Legoland and Windsor, this hotel set in 5 acres of mature parkland is ideal for families and business guests alike. The Pinewood Hotel offers a luxurious setting in a tranquil location, and has been designed with elegant interiors and a unique approach. The hotel was purpose-built for business, leisure and pleasure, with a service ethic to match. Whether you plan a business meeting or a wedding, here on-site you will find everything you'll need. The hotel is easily accessible from Heathrow Airport, Slough, Uxbridge, Windsor, Legoland and the M40 and M25. On the A4 near Reading, this modern hotel offers lodge-style accommodation in Charvil, a village with attractive surroundings and good road/rail links to London and Heathrow. The Wee Waif Hotel has an attractive bar and spacious restaurant, great for a business lunch or relaxing family meal. The extensive menu has quality dishes and daily specials. Between Reading and Maidenhead, The Wee Waif is a welcome stop for visitors to the Thames Valley Pathway. A short walk away is the beautiful, peaceful village of Sonning-on-Thames. Windsor Castle and Ascot Racecourse are within 15 miles (24 km). Newbury Racecourse is just 40 minutes' drive away. The Oracle shopping centre and Legoland are within easy reach. With a beautiful, peaceful location, in 7 acres of gardens, this Edwardian country house is now a 4-star hotel offering free Wi-Fi, luxurious modern rooms and a 2 AA Rosette award-winning restaurant. Originally built in the early 1900s, the Grovefield House Hotel was once the country retreat of John Fuller, of the famous Fuller brewing family. In 2009, the building underwent a massive ?2 million refurbishment and now combines country-house elegance and charm with luxurious modern accommodation. The individually decorated rooms are spacious and comfortable, with contemporary facilities including 32-inch flat-screen TVs with Freeview digital channels. Many rooms overlook the hotel's beautiful gardens. Overlooking the hotel's front lawns, Hamiltons Restaurant has received 2 AA Rosettes for its innovative menu, which combines hearty English classics with modern European cuisine. Dishes are made using the finest, freshest seasonal produce available locally. Located just off junction 10 of the M4, overlooking the river Loddon, this hotel is ideally located for visiting Reading, Wokingham and Bracknell business parks. The hotel benefits from 129 air conditioned newly refurbished rooms, including 25 executive rooms and 4 junior suites in the original mill. The stylish Sindlesham Mill restaurant, lounge and bar, as well as the grade 2 listed Poachers pub, gives dining options for all tastes. All areas of the hotel benefit from full Wi-Fi access. From 1 July 2007, smoking in public places is banned in England. However, a limited number of designated smoking bedrooms will be available for your convenience (subject to availability). On the outskirts of Newbury, overlooked by the historic Donnington Castle, this beautifully renovated 18th-century Gothic house is set in 550 acres of grounds with its own championship golf course. 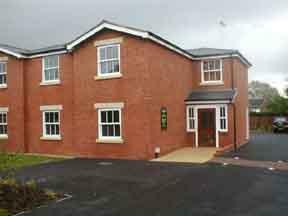 Donnington Grove and Country Club has a beautiful, secluded position, with easy access to the M4 motorway and the A34. London Heathrow Airport is less than 50 minutes away. There are 18 en suite rooms, all of which have satellite TV and tea/coffee making facilities. The new clubhouse has a bar opening out onto an outdoor area for al fresco dining. There is also a new restaurant serving carvery meals and delicious European cuisine. The restaurant leads to a south-west-facing terrace with views over the practice area, lakes and the River Lambourn. The 550-acre estate consists of a mixture of parkland, farmland and woodland, with the River Lambourn running through it. The championship golf course was designed by the Welsh Ryder Cup player, Dave Thomas. The Bird in Hand has remained in the same family for the last 3 generations. As resident proprietors the emphasis has always been on offering a warm & personl service in a friendly atmosphere. As well as superb accommodation, a fine restaurant and Bar with are only 4 miles west of Maidenhead and close to Junction 8/9 of the M4 Motorway which gives fast access to Heathrow & Gatwick Airports. 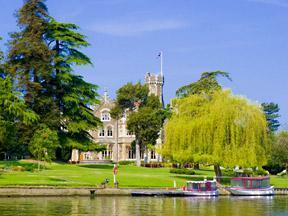 We are also ideally situated for visiting London, Oxford, Windsor & Henley on Thames. Wokefield Park blends the traditional with the modern to offer superb leisure facilities and a golfing experience equal to some of the country's best courses. The hotel can be accessed easily from junction 11 of the M4 and benefits from train links to London from Reading station. 54 high-tech meeting rooms offer the latest technology and equipment and there is free wireless internet access throughout. Stay either at the vibrant Wokefield Executive Centre with its indoor leisure facilities and restaurant, or in the elegant Wokefield mansion house. 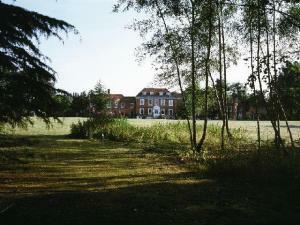 There are 250 acres of landscaped grounds, outdoor activities and plenty of parking. In 10 acres of grounds, surrounded by beautiful rolling countryside, in the heart of the Thames Valley, Stirrups offers an intimate candlelit restaurant and all the warmth of a traditional inn. Stirrups Country House is a family-owned and managed hotel, with all the attention to detail and personal service you would expect. The hotel has received a 3-star rating from the AA and from the English Tourist Board, assuring you that all facilities are of a very high standard. The 30 luxury bedrooms have all the modern amenities without losing the traditional English flavour. With its open fireplace, wood beams, low ceilings and soft lighting, the Stirrups Restaurant offers a warming real fire in the winter and al fresco dining in the summer. Surrounded by colourful and award-winning gardens, Stirrups is the place eat. The menus feature modern and traditional cuisine and the extensive wine list offers a selection of wines, carefully chosen to complement your meal. 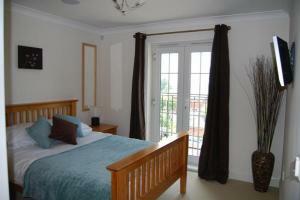 Set in Sunninghill village near Ascot, only 10 minutes from the m25 and m3 motorways. 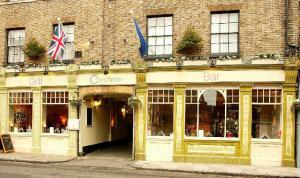 A family run hotel conveniently located with shops, restaurants and pubs all within a short walk. Heathrow Airport is just a 20 minute drive from Highclere Hotel with the main business areas of Bracknell, Camberley, Egham, Guildford, Reading, Staines, Windsor and Woking all in close proximity to the hotel. A unique experience is to be enjoyed at the Highclere Hotel. We take great pleasure in serving every guest and ensuring that Highclere Hotel really is a 'Home away from home'. We are confident that your stay with us, no matter how long or short, will be enjoyable, comfortable and relaxing. If you have any special requirements, please advise us as we are only too pleased to assist. Close to the heart of Newbury's town centre, this luxury 2-bedroom apartment offers stylish and contemporary accommodation, free parking and free wired broadband internet access. With modern furnishings and d?cor, the Jago Apartment has 2 double bedrooms, a full bathroom, a lounge/dining area and a fully equipped kitchen with integrated appliances, including a dishwasher, a washing machine and a microwave. There is an audio system running throughout the property, allowing you to enjoy your music in every room. The apartment is less than a mile (1.6 km) from Newbury Railway Station and the town centre, Newbury Retail Park and Newbury Racecourse are also all within easy reach. All of the town's bars, restaurants, supermarkets and gyms are within walking distance. With all the freedom, independence and convenience of an apartment, this self-catering accommodation offers a great-value alternative to a traditional hotel. Set within a wonderful historic building in the centre of Reading, this hotel provides a harmonious fusion of Old World charm and modern expectations. 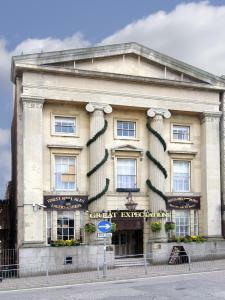 Part of the Relaxinnz group, Great Expectations provides en suite bedrooms and a themed bar and restaurant in the form of a Dickensian London street. It serves traditional pub food and delicious light bar snacks. Amenities include a pool table and wireless internet access via prepay vouchers. Unfortunately the hotel has no lift. Great Expectations is located directly opposite The Oracle shopping centre. 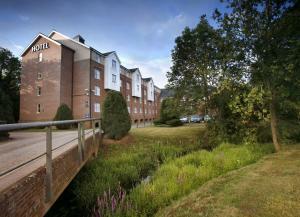 It is also conveniently positioned for easy access to the M3, M4 and M25 motorways. The train station and university are both within a 10-minute walk. Fines Bayliwick House is one of the oldest country homes in Bracknell. The charming country-house hotel offers the discerning visitor an exceptional standard of accommodation and service in a warm and relaxed atmosphere. There are 20-richly appointed individually designed en-suite bedrooms and much of the original character, like the lovely old fireplaces have been retained. All are equipped with private telephone, tea/coffee making facilities, trouser press, hairdryer and satellite tv. Baylis House Hotel is a stunning grade one listed historical building surrounded with beautiful garden. Enjoy a delightful blend of luxury, comfort & convenience. All the rooms have been designed keeping the busy traveller in mind. Set in long, beautiful National Trust gardens, this historic Italianate mansion combines exquisite Edwardian elegance with modern luxury, fine cuisine and faultless hospitality. 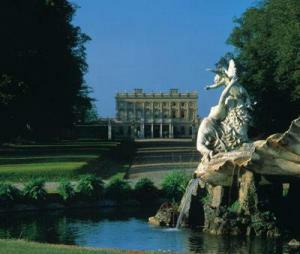 Cliveden is 45 minutes west of London and just 20 minutes from London Heathrow Airport. The chalk cliffs provide panoramic views over the countryside and an idyllic bend in the River Thames. The innovative cuisine at Waldos Restaurant has won 3 AA Rosettes, and the Terrace Dining Room has 2 AA Rosettes and spectacular views over the gardens. Pavilion Spa has 7 treatment rooms, Canadian hot tubs, whirlpool spas, steam rooms and a sauna. There is an indoor pool and a heated outdoor pool in the magnificent walled garden. This popular hotel is less than one mile from junction 12 of the M4 motorway. It has free parking, a restaurant, and is just over half an hour from Heathrow. The well-appointed Best Western Calcot Hotel offers easy access to Reading centre, Arlington, Green Park and Thames Valley Business Parks. Oracle Shopping Centre and Hexagon Theatre are 3.5 miles (5.6 km) away. Heathrow is just over 30 minutes' drive away. Newly refurbished bedrooms have satellite TV and Wi-Fi (at an additional cost). Wyborn restaurant serves freshly prepared meals, and offers its famous roast dinners on Friday evenings and Sunday lunchtimes. At weekends, there are regular 'Dinner Discos', theme nights, and tribute and cabaret shows. Only 10 minutes' walk from Reading Railway Station, the town centre and the Oracle Complex, Rainbows Lodge offers free Wi-Fi, free parking and good-value en suite rooms. Rainbows Lodge is close to all that Reading has to offer, including the hospital and the university. Rivermead, the River Thames, the Hexagon theatre and Reading County Court are also within easy reach. Junction 11 of the M4 motorway is only a 10-minute drive from the hotel. There is an air-conditioned bar and a TV lounge with free Sky Sports channels, as well as free computer facilities with internet access. Reception is open 24 hours a day and there is an on-site Italian restaurant. The spacious en suite rooms have telephones, trouser presses, tea/coffee and TVs with Freeview digital channels. Well-equipped apartments are also available. The Emmbrook Inn has excellent facilities and a village location close to the M4 and M3 motorways on the edge of Wokingham. The clean, first-class en suite rooms have a TV and a wireless internet connection. They are housed in a new annexe connected to a friendly village pub that serves breakfast and evening meals (not available on Saturday evenings). The Emmbrook Inn is also convenient for Brackell and for Reading. The George Hotel is believed to be the oldest building of Reading and still retains many of its wonderful coaching inn features, including Tudor archways and a very attractive central stone courtyard. Located in the heart of Reading, the hotel is next door to the Oracle Shopping Centre. The hotel has under gone a complete refurbishment programme and the result is a delightful combination of old world charm and modern comfort. All our rooms have en suite facilities and Wi-Fi and broadband. Our professional team looks forward to welcome you and making your stay, either on business or pleasure, as enjoyable as possible. This modern hotel offers comfortable, well-appointed en suite accommodation, superb facilities, great service and excellent value for money, in a convenient location with superb access to the region's main roads. Near junction 12 of the M4, the hotel's proximity to the area's major road network makes it a great base, whether you are exploring the Thames Valley area as a tourist or visiting on business. Both the Green and Arlington business parks are just a 5-minute drive away, making the hotel an ideal choice for the business traveller on the road. All of the spacious, comfortable en suite rooms are well equipped, with carefully designed work desks, internet access, TVs with satellite channels and tea/coffee making facilities. The superb facilities include free car parking, a fitness room, a brasserie-style restaurant and a full bar with a wide-screen TV for all sporting events. The friendly Crescent Hotel is located in the centre of Reading and has good-value rooms with breakfast included, free Wi-Fi and free on-site private parking. Crescent Hotel was built in 1890 and still has its preserved Victorian features. It is an ideal stopover in Reading, if you are seeing a show, visiting the Royal Henley Regatta, or attending a day course at the Oracle or Microsoft Campus. Dating back to 1711, this newly refurbished former coaching inn is Eton's only hotel, offering style, comfort and sophistication on historic Eton High Street. Clean and simple design is evident throughout the well-equipped rooms, with state-of-the-art services and warming interiors. The charm and character of this former coaching inn is retained along with the warm welcome awaiting every guest. Christopher's Bar and Grill is open all day every day for informal dining and drinks. The ideal environment and stay is guaranteed whether your visit is for business or pleasure. Set in 35 acres of landscaped gardens on the banks of the River Thames, this splendid Gothic Victorian residence is 5 minutes from Windsor and 20 minutes from Heathrow Airport. Originally built in 1859, Oakley Court has been updated to offer a complimentary health and fitness club, beauty treatment rooms, tennis courts, croquet and a 9-hole golf course on site. A private boathouse offers boats for hire during the spring and summer. Historically, Oakley Court is believed to have been used as the English Headquarters of the French Resistance during World War II. More recently it was the setting for many famous films including St. Trinian's, The Rocky Horror Picture Show and many Hammer House of Horror productions, including Dracula. Stoke Place is a 17th Century Queen Anne mansion situated in 25 acres of beautiful parkland. Each of Stoke Place's bedrooms offer excellent facilities and the perfect atmosphere in which to relax, including flat screen TV's, DVD's, luxurious bathrooms and the most comfortable beds. Those choosing to stay at Stoke Place benefit from in-room spa facilities, a well-stocked film library and complimentary 24 hour internet access. From the restaurant and bar you can enjoy beautiful views across the pristine green lawns. The menu offers delicious contemporary British food, where traditional dishes have been updated and modernised using seasonal menus to ensure that only the freshest and tastiest ingredients are used. Stoke Place is also the perfect venue for conferences, meetings, and private events including weddings. Overlooking an 18-hole golf course, this AA Hotel of the Year (2007/2008) has brand new air conditioned rooms, suites and a 2,000 m? state-of-the-art health club and spa. The award-winning Wine Press Restaurant is renowned for delicious food and an extensive wine list featuring over 300 wines, 30 of which are served by the glass. The spa features an 18-metre pool, jacuzzi, sauna, steam room, aromatherapy room, gymnasium, dance studio, 7 treatment suites and a roof terrace. This luxurious 5-star hotel and restaurant is a must for food and wine lovers. 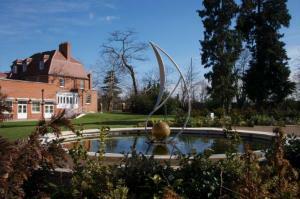 The Vineyard offers a superb restaurant and excellent spa facilities, just 1 hour from London. To match the food served in the 2 Michelin Star restaurant, there is an award-winning wine list consisting of over 2000 wines, 500 of which are Californian - the largest Californian wine list anywhere in the world. Chill out in the spa and enjoy a wide variety of beauty treatments, including Choco, Vino and Truffle therapies.